The time your members spend managing payroll, HR, and benefits (and keeping up with the constantly changing laws and regulations that go along with them) is time they could — and should — be spending on their businesses. Paychex partners with associations across the United States to help their members reduce the burden and risk of administering payroll, HR, and employee benefits on their own. By partnering with Paychex, your members may be eligible for special pricing on our industry-leading HR solutions, making their memberships even more valuable. Our time-saving solutions make payroll, HR, and employee benefits administration easy, helping free your members to focus on what’s important — their growth and success. 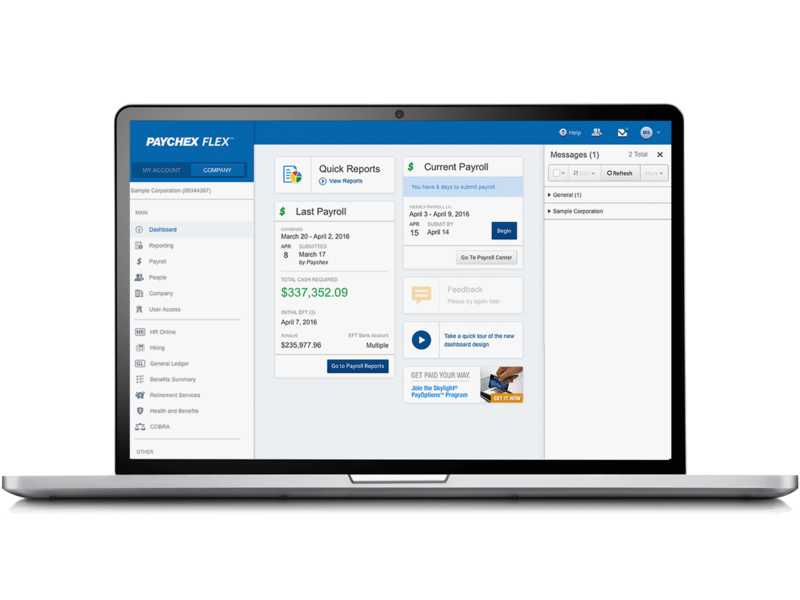 Paychex Flex®, our cloud-based HR software, can help your members effectively manage their workforce from one scalable, easy-to-use platform via desktop or mobile device. By partnering with Paychex, you can save your members the time and effort of comparing payroll and HR providers. We’ve been in business for over 45 years and have more than 600,000 clients nationwide, so your members can be confident they’re getting a proven, trusted partner to help them with their payroll and HR needs. Our HR solutions can help your members in their efforts to adhere to a wide range of mandatory requirements. Plus, we offer the support of highly trained HR professionals who can act as your members’ HR partners, helping them implement effective and up-to-date processes for recruiting, hiring, ongoing employee management, and more. It’s become increasingly difficult to find and retain employees with the right skill sets. Paychex can help your members overcome this challenge with our powerful applicant-tracking solution. We’ll help you find top candidates, as well as Fortune 500-caliber benefits, including retirement and group health insurance plans, to help attract and retain employees.